Here's where to watch every episode of Have I Got News for You season 52. Mouseover or tap an episode to see where to stream it. Click or tap the play icon to stream it on the best available service. Nick Clegg, Kevin Bridges Oct 7, 2016 The satirical news quiz returns. 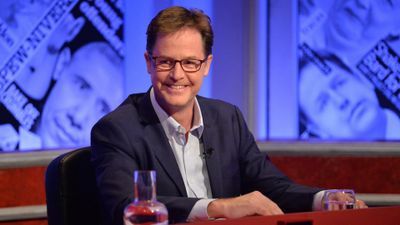 Regular team captains Paul Merton and Ian Hislop are joined by guest host Nick Clegg and panellists Kevin Bridges and Roisin Conaty. Stephen Mangan, Ruth Davidson, Henning Wehn Oct 14, 2016 Regular team captains Paul Merton and Ian Hislop are joined by guest host Stephen Mangan and guest panellists Ruth Davidson NSP and Henning Wehn. Jo Brand, Tim Farron, Chris Kamara Oct 21, 2016 Regular team captains Paul Merton and Ian Hislop are joined by guest host Jo Brand and guest panellists Tim Farron MP and Chris Kamara. David Mitchell, Chris Bryant, Rose Matafeo Oct 28, 2016 Regular team captains Paul Merton and Ian Hislop are joined by guest host David Mitchell and guest panellists Chris Bryant MP and Rose Matafeo. Victoria Coren Mitchell, Andy Hamilton, Tim Loughton Nov 4, 2016 Only Connect host Victoria Coren Mitchell takes over the reins of the satirical current affairs quiz, with comedy writer and performer Andy Hamilton and Conservative MP Tim Loughton joining team captains Ian Hislop and Paul Merton to poke fun at the week's news. Charlie Brooker, Rich Hall, Maureen Lipman Nov 11, 2016 Regular team captains Paul Merton and Ian Hislop are joined by guest host Charlie Brooker and guest panellists Rich Hall and Maureen Lipman. Alexander Armstrong, Jess Phillips MP, Nish Kumar Nov 25, 2016 Regular team captains Paul Merton and Ian Hislop are joined by guest host Alexander Armstrong and guest panellists Jess Phillips MP and Nish Kumar. Tom Hollander, Hal Cruttenden, Suzanne Evans Dec 2, 2016 Regular team captains Paul Merton and Ian Hislop are joined by guest host Tom Hollander and guest panellist Hal Cruttenden. Mel Giedroyc, Adil Ray, Jacob Rees-Mogg MP Dec 9, 2016 Regular team captains Paul Merton and Ian Hislop are joined by guest host Mel Giedroyc and guest panellists Adil Ray and Jacob Rees-Mogg MP. Gary Lineker, Nicky Morgan MP, Jon Richardson Dec 16, 2016 Regular team captains Paul Merton and Ian Hislop are joined by guest host Gary Lineker and guest panellists Nicky Morgan MP and Jon Richardson. Have I Got 2016 News for You Dec 23, 2016 A compilation of the popular news quiz that looks back at the big news of 2016. 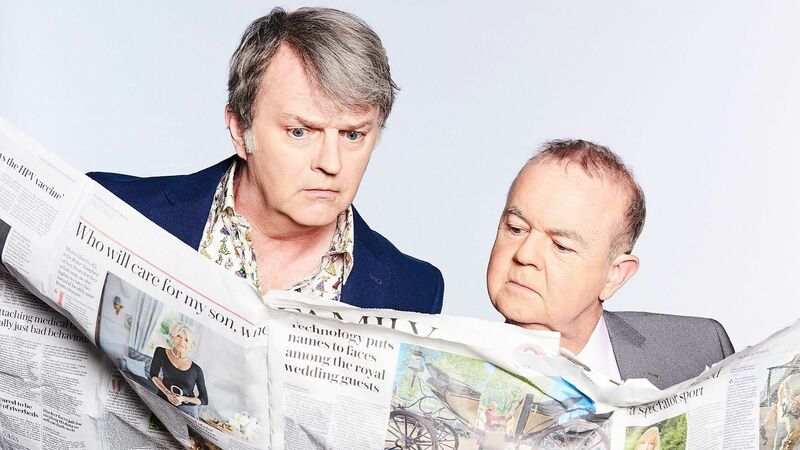 With team captains Paul Merton and Ian Hislop and a variety of guest hosts and panellists.